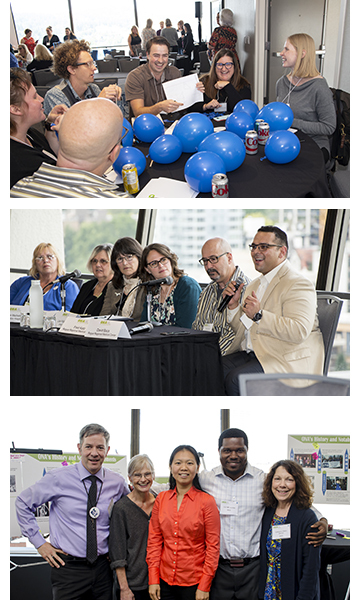 Save the Date: The 2019 ONA Annual Bargaining Unit Leadership Conference will be held April 10-11, 2019 at the Hilton Portland Downtown. Learn how to develop and cultivate your voice in your workplace at ONA’s Bargaining Unit Leadership Conference April 10-11, 2019 at the Portland Hilton and Executive Towers in downtown Portland. Emerging and existing bargaining-unit member leaders should attend this conference. Student Affiliates may also attend if space is available. If you want to attend but are unsure about your membership status, please contact us to determine eligibility. Registration is open and is FREE for ONA members and student affiliates to attend. ONA is proud to present our keynote speaker, Sylvia Mendez. Sylvia Mendez is the daughter of Gonzalo Mendez, a Mexican immigrant and Felicitas Mendez, a Puerto Rican immigrant, who fought so that Sylvia could have an equal education through the landmark court case battle of Mendez v. Westminster, et al. In 1943, students of Mexican decent were required to enroll in separate schools from Caucasian children. When Sylvia was in third grade, she and her siblings were denied admission to the segregated, "white school" near their Orange County home. The Mendez family fought back. Their 1947 victory desegregated public schools in California and became an example for broader decisions, such as the Brown v Board of education. Sylvia Mendez's sole intent is to convey the importance of obtaining an education by encouraging students to stay in school and continue their education. Sylvia is available to speak at schools and other educational forums to educate others regarding her parents fight for desegregation of schools in California. ONA will be hosting a social gathering for all attendees on Wednesday, April 10, 6-9 p.m. at the Punch Bowl Social, located at 340 SW Morrison St #4305, Portland, OR 97204 (approximately 4 blocks from the conference venue). Make sure you plan to join your colleagues for an opportunity to have some fun! ONA members who must travel 80 miles or more roundtrip to attend the conference may be eligible for lodging and reimbursement. The deadline to reserve a room in the ONA block at the Portland Hilton has passed. If you qualify for lodging, you can reserve a room at a different hotel and submit a form for reimbursement for up to $189/night after the conference. If you have questions about if you qualify, please contact sailler@oregonrn.org. Participants will be able to earn continuing nursing education contact hours.